(CN) – The Turkish government must free pro-Kurdish opposition leader Selahattin Demirtas, whose detention throughout two elections stifled democracy in Turkey, the European Court of Human Rights ruled on Tuesday. Demirtas, who once co-chaired the pro-Kurdish Peoples’ Democratic Party (HDP) in Turkey, has for two years been battling charges that he spread militant propaganda against the country. Two elections have passed since that time: a referendum that radically expanded Turkish President Recep Tayyip Erdogan’s power and a presidential contest. Demirtas had been a powerful voice for the Hayir campaign, which translates in English to “No,” protesting Erdogan’s power grab, and he challenged Erdogan for president earlier this year from jail. The rights court based in Strausberg, France, found Tuesday that the Turkish government kept Demirtas in jail to stack the contest. “The court finds that it has been established beyond reasonable doubt that the extensions of the applicant’s detention, especially during two crucial campaigns, especially during two crucial campaigns, namely the referendum and the presidential election, pursued the predominant ulterior purpose of stifling pluralism and limiting freedom of political debate, which is at the very core of the concept of a democratic society,” the 78-page ruling states. Although all seven judges of the human rights court found reasonable suspicion initially for the jailing of Demirtas, Tuesday’s ruling says Turkey violated his right to be brought promptly before a judge and the right to free elections. The judges were unanimous this morning in finding an anti-democratic effect. “Although the applicant retained his status as a member of parliament throughout his term of office and was thus able to receive his salary in that capacity, the fact that it was impossible for him to take part in the activities of the National Assembly on account of his pre-trial detention constitutes an unjustified interference with the free expression of the opinion of the people and with the applicant’s right to be elected and to sit in Parliament,” the judgment states. In a partial dissent meanwhile, Turkish Judge Isil Karakas stopped short of finding a “hidden agenda” from the country’s judiciary. “Although the applicant may have had suspicions as to the national authorities’ real purpose in keeping him in pre-trial detention, I consider that in the absence of concrete evidence, such suspicions cannot suffice from a legal perspective to warrant the conclusion that in ordering his continued pre-trial detention, the judicial authorities acted improperly and in blatant disregard of the Convention,” wrote Karakas, who sits on the court among colleagues from Iceland, Albania, Belgium, Moldova, Denmark and Montenegro. Despite being forced to campaign from jail, Demirtas helped push his party past the threshold for it to secure legislative representation. Erdogan, who won re-election earlier this year, insisted that the court’s ruling is not binding upon Turkey. But Nate Schenkkan, the director of the Washington-based pro-democracy watchdog Freedom House, said that is incorrect as a matter of law. 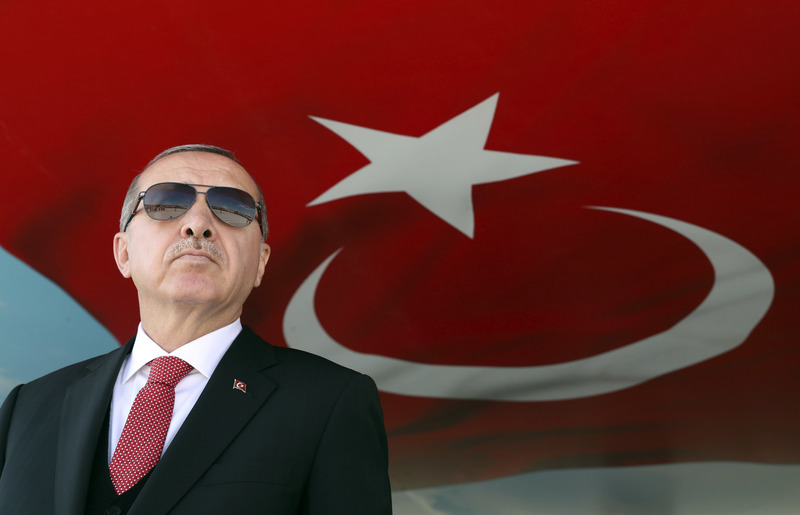 A longtime monitor of Turkey’s democratic decline, Schenkkan said Turkey has not implemented more than 1,200 rights court rulings, putting it on a collision course with the Council of Europe and in the company of other human-rights violators. “If anything, Russia is further down the legal path of formally exiting,” Schenkkan said. Azerbaijan also flouted a European Court of Human Rights ruling that ordered the release of opposition leader Ilgar Mammadov, who was kept in jail four years after the judgment. That case sparked calls to evict Azerbaijan from the Council of Europe, an international organization with 47 member states that is distinct from the 28-nation European Union. Schenkkan predicts similar blowback in the case of Demirtas, which he said could spark pressure from the Council of Europe and amplify calls to formally end Turkey’s already “moribund” ascension into the European Union. Johannes Hahn, the European commissioner for enlargement, and Kati Piri, a European Parliament member, have both questioned Turkey’s ascension.